Call us to book your Trip now. The value of physical activity is an integral piece of a child’s overall education and development. Balancing academics with life skills such as regular, healthy eating, combined with physical activity is crucial in a young person’s education. 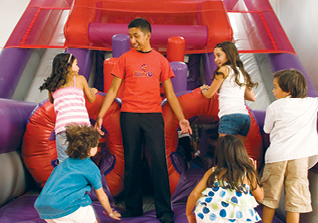 Let BounceU show that physical activity can be simple and FUN!